DK Advanced Technologies began when a local innovator and his team paired their love of beer with their 25+ years of precision manufacturing experience. They came together to solve a problem for friends at a local brewery. This led to designing and building semi-automatic bottle filling and capping machinery like the MicroBottler. Putting their engineering and design skills to work, Dan Komarony and his team saw the challenge a growing local brewery was having. The New York farm brewery was ready to bottle and distribute their beers and take their business to the next level. Unfortunately, they found only bottling lines that were above their budget. They lacked the ability to change bottles easily and took up too much space. So, the DK team did what any team of innovators would do when faced with a problem. They began to develop a solution. 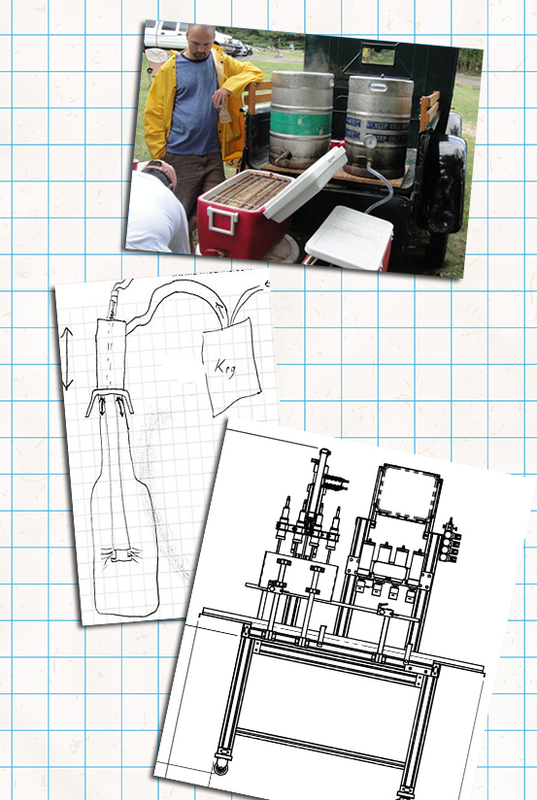 Simple sketches evolved through R&D into various working models that were tested at the local brewery. The result was the MicroBottler ®. A semi-automatic bottle filling and capping machine, the MicroBottler ® enables craft beverage producers to bottle affordably and efficiently. Designed with the budgets and size constraints of small operations in mind, it is also convenient for large manufacturers to bottle a custom run. DK Advanced Technologies now develops various products to facilitate efficient bottling of beer and beyond. Innovation is a daily practice with our team. We are passionate about visiting our customers’ businesses, being there when they bottle so we can create new solutions. Updates and new products are always in the works and bottling lines can be fully customized for your needs. We are homebrewers and passionate beer enthusiasts. We understand the challenges of craft beverage operations. Our goal is to develop and produce high quality, versatile products that cater to the needs and budgets of all craft beverage producers. 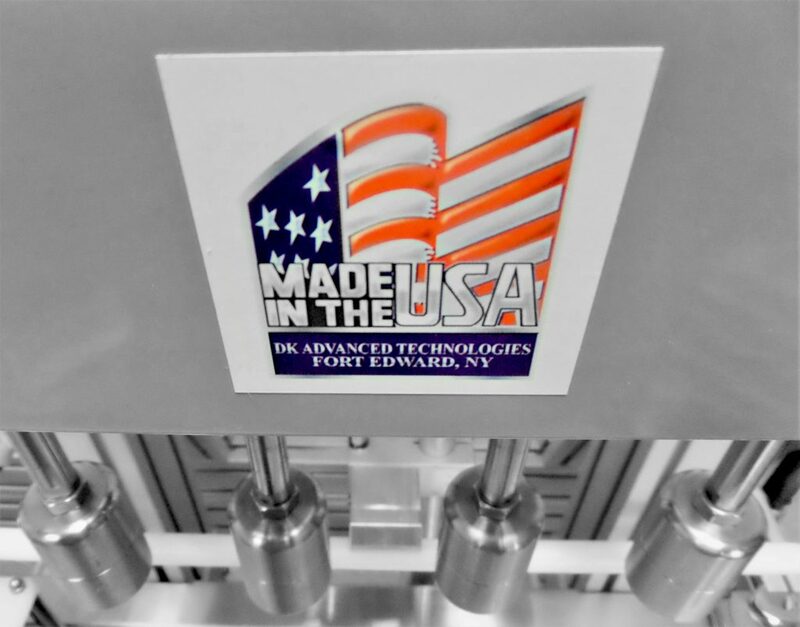 We are proud to design and build a product that is made in the USA. 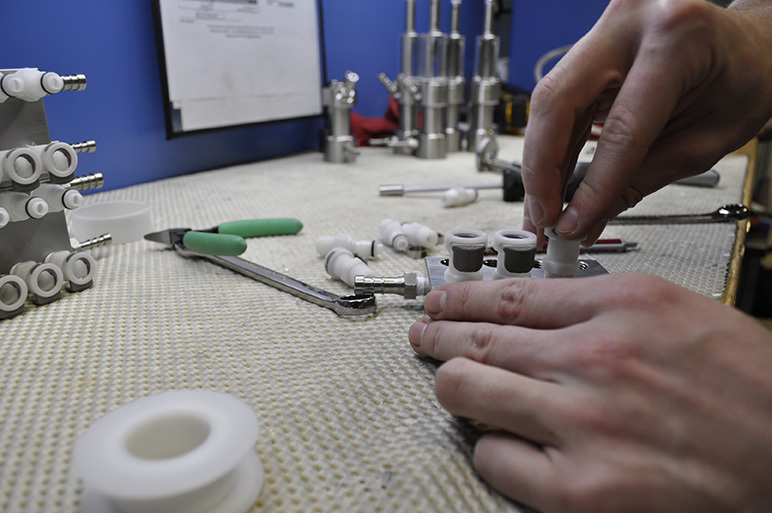 Products are designed, built and serviced from our shop in Fort Edward, New York. High quality is controlled and assured. Good, old-fashioned customer service paired with the latest technology is how we do business and support our customers. We are constantly researching and observing in the field to update our products. And always learning about new industries to bring you the next semi-automatic bottle filling and capping solutions. Interested in Our Beverage Bottling Innovations? Find out how the innovative small scale beverage bottling technologies from DK Advanced Technologies can benefit your business! Contact us for more information or request a quote. Want to stay up to date with our latest innovations and happenings? Be social!